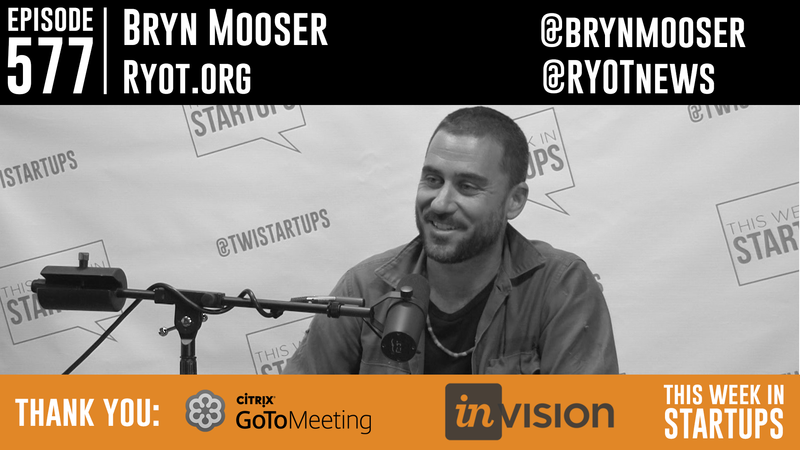 Today’s guest is Bryn Mooser, Co-Founder of RYOT.org. RYOT is a breaking news site with embedded calls-to-action — and it’s now transforming journalism by using VR to tell the most powerful stories from around the world. Bryn stops by the studio with RYOT’s VR gear & camera, and Jason dons the goggles (w/an audience look-see as well) to virtually experience the bombed-out city of Aleppo Syria, post-earthquake Nepal, the Sierras and more. It’s an exciting conversation about the latest innovations in VR and why it works to create empathy, filming in war zones and areas in crisis, the importance of media calls to action, celebrity philanthropy, viewer engagement, what countries are most at-risk in the world, and much more.